Wi-Fi or WiFi is a technology for wireless local area networking with devices based on the IEEE 802.11 standards. Wi-Fi is a trademark of the Wi-Fi Alliance, which restricts the use of the term Wi-Fi Certified to products that successfully complete interoperability certification testing. Description: WIFI-Link’s wireless-g USB adapter (WL-USB-RSMAP) featuring a 15 dBm output female reverse polarity (RP) SMA connector so users can optionally add an assortment of range extending wifi. Description: Automatic gain control to minimize the signal distortion on all access points High Power transmit level, 500mW (23dBm) 5-Volt power supplied via USB PC connector Industry standard USB connector. Works with USB 2.0 9 5/8" antenna length/wireless card combination 3' USB cable included Software CD included Connects to any standard RP-SMA antenna, cable or connector. Transmit Power (ERP) 802.11b: 500mW (27dBm) 802.11g: 500mW (27dBm) Power calculation w/5dB antenna = 1.59 Watts EIRP! Description: Operating frequency: 2.4GHz-2.4835GHz license-free ISM Band frequency hopping. Bluetooth Version: 2.0 + EDR Profiles: GAP, SPP, OPP, FTP, DUN, FAX, SYNC, PAN, BIP, Headset, HCRP, A2DP, HID Class: 1 Operation Range: 100 Meters Data rate: 2-3Mbps RF module sensitivity: -85dbm at 0.1% bit error rate Compatibility/Pairing: All Bluetooth devices V2.0 and under Security: Encrypted link, authentication. 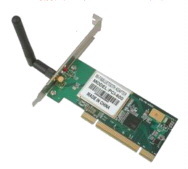 Wi-Fi PCI Netcard: Complies with: IEEE802.11g, IEEE802.11b standards Frequency Band: 2.4GHz ~ 2.48GHz Operating Range: 100 meters Indoors, 400 meters Outdoors Spread Spectrum: DSSS (Direct Sequence Spread Spectrum) Modulation Method: OFDM, CCK, DQPSK, DBPSK Data Rate: IEEE 802.11b : 1, 2, 5.5, 11Mbps\IEEE 802.11g : 6, 9, 12, 18, 24, 36, 48, 54Mbps Emission type: direct sequence spread spectrum technology Operation Mode: Ad hoc\Infrastructure (Access Points is needed) Antenna: 2dBi Detachable dipole Antenna RF output power: 802.11g 54M OFDM @ 25'C,14dBm Sensitivity: 54Mbps: typical, 74dBm @10%PER,R Security: 64-bit or 128-bit\ WEP (Wired Equivalent Privacy)\WPA2 Management: Windows-based Utility. 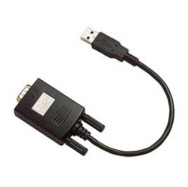 Description: Allows the use of legacy serial devices through your computers standard USB port. Plug & Play capability. Works in Vista ! Description: Versa Wi-Fi USB Adapter also has an external connector that lets you connect another better antenna -- and more than triple your wireless range. Description: Wifi ONLY - Linksys USB Wifi Adapter adds local wireless connectivity to your USB-equipped computer. Wifi technology lets you connect various electronic devices together wirelessly, eliminating the need for wires all over your desktop, and easily connecting your notebook to peripherals in an airport lounge without all the cable clutter. Description: Bluetooth ONLY - The Linksys USB Bluetooth Adapter adds local wireless connectivity to your USB-equipped computer. Bluetooth technology lets you connect various electronic devices together wirelessly, eliminating the need for wires all over your desktop, and easily connecting your notebook to peripherals in an airport lounge without all the cable clutter. DirecTV (stylized as DIRECTV) is an American direct broadcast satellite service provider based in El Segundo, California and is a subsidiary of AT&T. Its satellite service, launched on June 17, 1994, transmits digital satellite television and audio to households in the United States, Latin America and the Caribbean. Description: The WVB (Wireless Video Bridge) is the key to wireless DIRECTV television viewing. The WVB stays where it’s installed regardless of where your TV is. The WVB bridges the Deca cloud to the Genie Mini. Wireless via Wi-Fi so that you can enjoy your favorite DIRECTV channels or On Demand anytime, anywhere. Description: DIRECTV's Genie goes wireless! The Wireless Genie-Mini is extremely unique in that the Wireless Video Bridge (WVB) creates it's own private, separate local network. No home internet is required! No running cables! Same functionality and user interface as the Genie. Genie Mini Clients are small and full-featured! 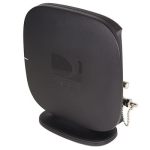 Description: The DIRECTV WiFi Cinema Connection Kit (CCK-W) uses a wireless broadband DECA with external, detachable power supply to connect a customer’s DIRECTV network and all IRDs to their broadband internet service, allowing them access to DIRECTV On Demand, YouTube, TV Apps and more. Dish Network (often stylized as DISH Network) is an American direct-broadcast satellite service provider. The company provides satellite television, satellite Internet access, audio programming, and interactive television services to commercial and residential customers in the United States. As of November 2016, the company provided services to 13.7 million television and 580,000 broadband subscribers. 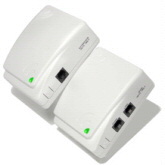 Description: The Wireless Joey 802.11ac access point setup is easy. Plug it into one of the two Ethernet ports on your Hopper wait a few minutes. Once the lights are all solid you can call and activate your Wireless Joey. Hook your Wireless Joey up to any TV, it supports HDMI for HD and Composite video for older SD TV's. In just a couple of minutes you are watching TV. Description: The Wireless Joey lets you hook up any HDTV in the house to your Dish service without running cables. Full Joey functionality over Wi-Fi, including Channel Guide and DVR programming. Sharp, clear picture. Simple setup process. All features found on the Hopper including Remote Control Locator. Description: You can use this wifi adapter to wirelessly connect 722, ViP 722k, ViP 622, 222, ViP222k and 922 receivers to the Internet without having to run any cables! Simply place wifi adapter in USB port of your receiver and follow prompts on the screen. Description: DISH Network Sling Adapter for Hopper2000, 722 and ViP722k receivers. You may view high definition or standard definition DISH Network live and recorded show on your laptop and compatible mobile devices (iPhone, iPod Touch, iPad, Android, Windows, Mac computers and Blackberry-In Beta). The DISH Remote Access App is Free. Description: The DISH USB Bluetooth Adapter provides bluetooth functionality for the wired Joey 1.0, Joey 2.0, Wireless Joey, Super Joey and the Wally receivers. Perfect for the hearing impaired when you pair the adapter with any bluetooth headphones. Also ideal if you're a night owl who watches TV while your spouse sleeps next to you, or if you live in an apartment and don't want to disturb your neighbors. Description: Don't forget about these ! Complete windows IR keyboard with trackball mouse. Totally IR (infrared). This is the ultimate to finish any IR repeater system. PC in the closet baby !! Order 5 for a whole house solution. Adjustable IR for multiple PC's in the same room or over the same system. Awesome !!! PS2 or USB available. 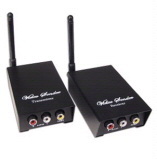 Description: Transmits a signal from your video camera, cable box or VCR to a TV up to 150 ft. away without wires. Description: Superior quality 2.4 GHz Transmission avoids the crowded 900 MHz band used by most wireless items. Minimize interference from unwanted signals with circular polarized, high grain, directional transmission. Description: The Wireless Phone Jack is perfect for adding a phone jack behind your DSS Receiver to take advantage of call-in services such as Pay-Per-View. The D916 is compatible with Call Waiting, 3-Way Calling, Cordless Phones, Fax Machines, Answering Machines and Computer Modems (up to 14,000 Bps).